90% of the American population regularly buy popcorn whilst only 40% of the UK population spend their hard earned cash on the air-popped snack. However things are changing as UK sales of bagged popcorn has increased by almost 40% over the last year. In fact, it is now believed that the average UK citizen is eating about 5kg of popcorn per year. The boom is being driven by a change in direction as popcorn has shed its previous unhealthy image and repositioned itself as a healthy snack. Whilst some producers have jumped all over the healthy side of popcorn, others have decided that premium indulgence popcorn is the key to getting a cut of this exploding market. One producer that has taken advantage of the increased demand is Stirling based Poporopo Gourmet Popcorn run by Daman Bush who aims to bring the wackiest, highest quality taste of gourmet popcorn to the market. Over the last year we have bumped into Damam and Poporopo at a number of high profile foodie events including the BBC Good Food Show, Let's Eat Glasgow, and the Foodies Christmas Festival and every time his stall was overrun by customers who couldn't get enough of their super tasty treats. Breaking away from run of the mill popcorn, Poporopo have wowed fans with big hitting flavours like Chilli & Lime, Peanut Butter, Chocolate Orange, and Ginger to name but a few. Having sampled more than my fair share of Poporopo's sweet and savoury offering, I'm still unsure which flavour I love best. They're all so good! My partner and I are big film fans and spend a lot of our time going to the cinema or watching movies at home, with the amount of popcorn we consume it doesn't take long to become bored of the limited variety that is on the market, this lead us to making our own and discovering the world of gourmet popcorn which is huge in the USA. After months of making it for us I thought that if we liked it, friends and family loved it, then maybe there is market for it here in Scotland. I booked a market stall at Loch Lomond shores Farmers market, (a market we still attend today) we sold out, picked up a few stockists and the rest is history! Perseverance, we have had some really tough moments over the last year, many of which made me want to give up, but working through the problems one by one and not giving up, even when there is no light at the end of tunnel, is key to any business. 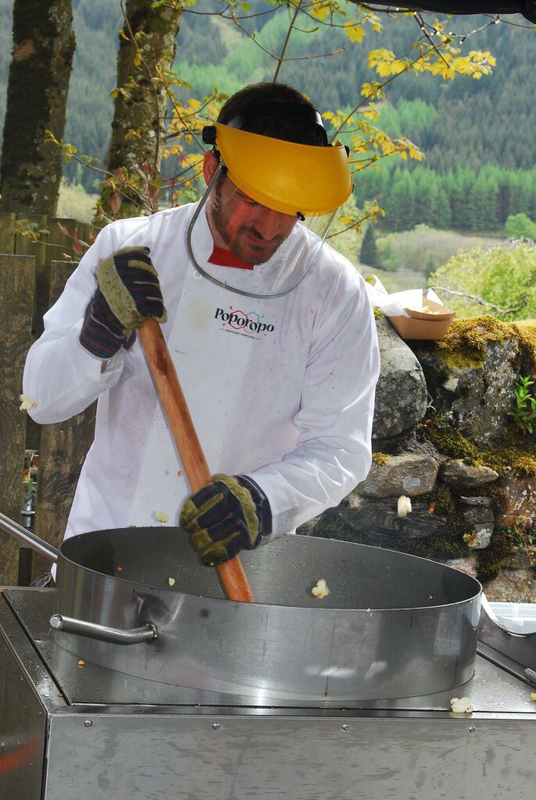 If you could only produce one of your popcorn flavours, what would it be & why? My dinner guest would be my Bamp (Granddad or Papa as he would be called in Scotland or England). It would be so nice to see him so he could see what myself and my dad have gone on to do, both living in Scotland running food companies that people love. (Daman's dad is the owner of Summer Harvest Oils)On the menu would be an omelette, and he'd be cooking! Nobody can beat his omelettes. I guess it's a Welsh thing? 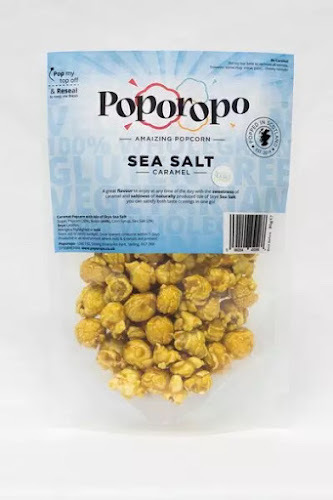 National Popcorn Day was earlier this week which also coincided with the first birthday of Poporopo but based on the popularity of their wacky flavoured popcorn, I'm sure that they will be around to celebrate many more successful years of popping. 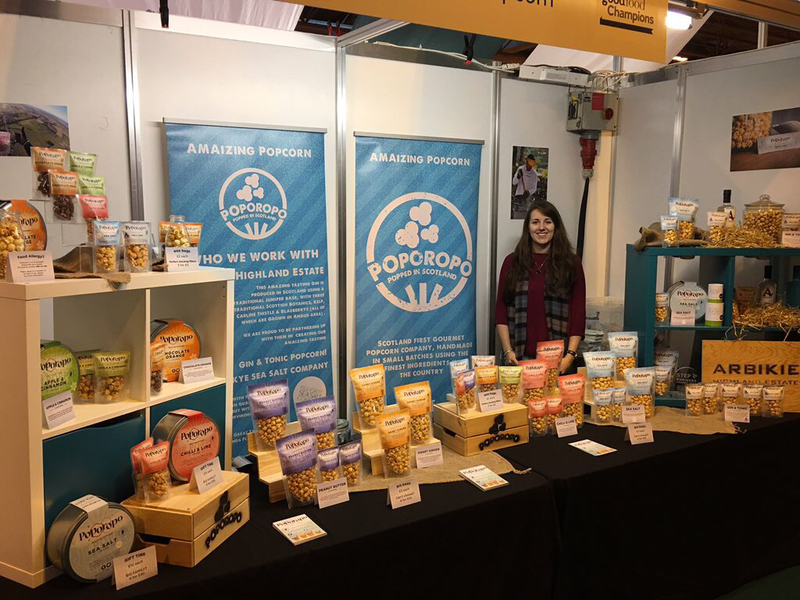 Remember that you don't need to wait until next National Popcorn Day to get your hands on some of the best popcorn that I've tasted, why not check the website to find your nearest stockist or you simply buy direct from their online shop. I would like to thank Daman for taking the time out to answer 5 Questions and wish Poporopo every success in the future. 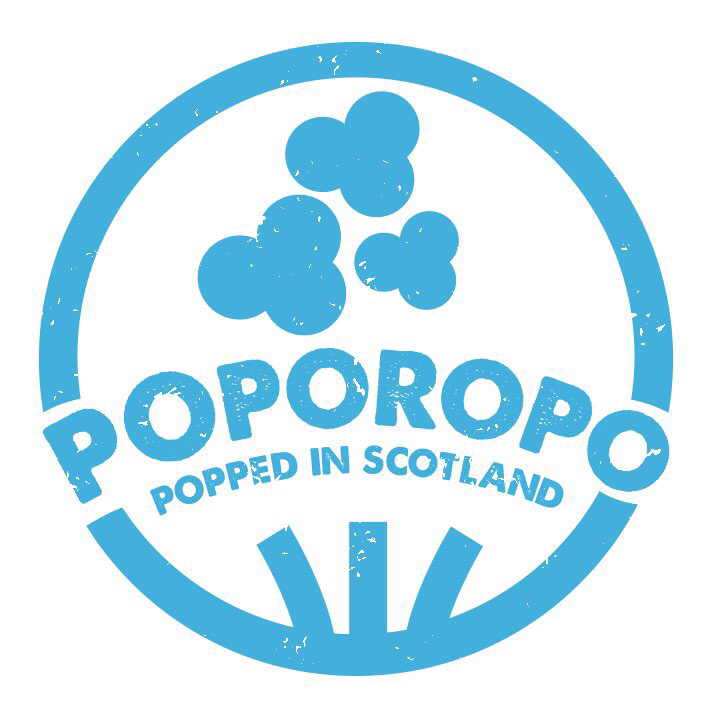 Keep up to date with Poporopo on Facebook and Twitter. I've been to every larger venue in the town and this is one of the best. Their menu is small but at least they seem to do what they have on it well. The Los Angeles event venues have a variety of salads and sandwiches, and a fresh daily soup.